Grela K. "In My Element: Ruthenium" Chem. Eur. J. in press. Smoleń, M.; Marczyk, A.; Kośnik, W.; Trzaskowski, B.; Kajetanowicz, A.; Grela K. "Ruthenium-Catalysed Olefin Metathesis in Environmentally Friendly Solvents: 2‑Methyltetrahydrofuran Case Revisited" Eur. J. Org. Chem. in press. 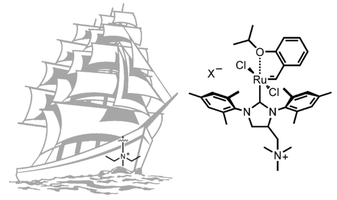 Wyrębek, P.; Małecki, P.; Sytniczuk, A.; Kośnik, W.; Gawin, A.; Kostrzewa, J.; Kajetanowicz, A.; Grela K. "Looking for the Noncyclic(amino)(alkyl)carbene Ruthenium Catalyst for Ethenolysis of Ethyl Oleate: Selectivity Is on Target" ACS Omega in press. Małecki, P.; Gajda, K.; Gajda, R.; Woźniak, K.; Trzaskowski, B.; Kajetanowicz, A.; Grela, K. "Specialized Ruthenium Olefin Metathesis Catalysts Bearing Bulky Unsymmetrical NHC Ligands: Computations, Synthesis, and Application" ACS Catalysis in press. Smoleń, M.; Kośnik, w.; Gajda, R.; Woźniak, K.; Skoczeń, A.; Kajetanowicz, A.; Grela, K. "Ruthenium Complexes Bearing Thiophene‐Based Unsymmetrical N‐Heterocyclic Carbene Ligands as Selective Catalysts for Olefin Metathesis in Toluene and Environmentally Friendly 2‐Methyltetrahydrofuran" Chem. Eur. J. 2018, 24, 15372-15379. Sytniczuk, A.; Dąbrowski, M.; Banach, Ł.; Urban, M.; Czarnocka-Śniadała, S.; Milewski, M.; Kajetanowicz, A.; Grela, K. "At Long Last: Olefin Metathesis Macrocyclization at High Concentration" J. Am. Chem. Soc. 2018, 140, 8895-8901. Sytniczuk, A.; Leszczyńska, A.; Kajetanowicz, A.; Grela, K. "Preparation of musk smelling macrocyclic lactones from biomass: looking for the optimal substrate combination" ChemSusChem 2018, 18, 3157-3166. Sytniczuk, A.; Forcher, G.; Grotjahn, D. B.; Grela, K. "Sequential alkene isomerization and ring-closing metathesis in production of macrocyclic musks from biomass" Chem. Eur. J. 2018, 24, 10403-10408. Karras, M.; Dąbrowski, M.; Pohl, R.; Rybáček, J.; Vacek, J.; Bednárová, L.; Grela, K.; Starý, I.; Stará, I.; Schmidt, B. "Helicenes as chirality inducing groups in transition metal catalysis: the first helically chiral olefin metathesis catalyst" Chem. Eur. J. 2018, 24, 10994-10998. Zieliński, A.; Szczepaniak, G.; Gajda, R.; Woźniak, K.; Trzaskowski, B.; Vidović, D.; Kajetanowicz, A.; Grela, K. "Ruthenium Olefin Metathesis Catalysts Systematically Modified in Chelating Benzylidene Ether Fragment: Experiment and Computations" Eur. J. Inorg. Chem. 2018, 3675-3685. Czaban-Jóźwiak, J.; Woźniak, Ł.; Ulikowski, A.; Kwiecińska, K.; Rajkiewicz, A.A.; Grela, K. "Modification of Polyhedral Oligomeric Silsesquioxanes (POSS) Molecules by Ruthenium Catalyzed Cross Metathesis" Molecules 2018,23, 1722-2553. Zieliński,G. K.; Majtczak, J.; Gutowski, M.;Grela, K. "A Selective and Functional Group-Tolerant Ruthenium-Catalyzed Olefin Metathesis/Transfer Hydrogenation Tandem Sequence Using Formic Acid as Hydrogen Source" J. Org. Chem. 2018,83, 2542-2553. Gawin, A.; Pump, E.; Slugovc, C.; Kajetanowicz, A.; Grela, K. "Ruthenium Amide Complexes – Synthesis and Catalytic Activity in Olefin Metathesis and in Ring‐Opening Polymerisation" Eur. J. Inorg. Chem. 2018, 1766-1774. Gawin, A.; Małecki, P.; Dranka, M.; Zachara, J.; Skompska, M.; Kajetanowicz, A.; Grela, K. "An unexpected formation of a Ru(III) benzylidene complex during activation of a LatMet-type ring-opening polymerisation catalyst" J. Catal. 2018, 364, 345-353. Michalska, M.; Grudzień, K.; Małecki, P.; Grela, K.; Trzaskowski, B. "Gold(I)-Catalyzed Formation of Naphthalene/Acenaphthene Heterocyclic Acetals" Org. Lett. 2018, 20, 954-957. Młodzikowska, K; Rajkiewicz, A. A.; Grela, K.;[i,u] Trzaskowski, B. "Boron–boron, carbon–carbon and nitrogen–nitrogen bonding in N-heterocyclic carbenes and their diazaboryl and triazole analogues: Wanzlick equilibrium revisited" New J. Chem. 2018, in press. Szczepaniak, G.; Ruszczyńska, A.; Kosiński, K.; Bulska, E.; Grela, K.[u] "Highly efficient and time economical purification of olefin metathesis products from metal residues using an isocyanide scavenger" Green Chem. 2018, 20, 1280-1289. Jolly, P. I.; Marczyk, A.; Małecki, P.; Ablialimov, O.; Trzybiński, D.; Woźniak, K.; Osella, S.; Trzaskowski, B.; Grela, K.[u] "Azoliniums, Adducts, NHCs and Azomethine Ylides: Divergence in Wanzlick Equilibrium and Olefin Metathesis Catalyst Formation" Chem. Eur. J. 2018, in press. Jana, A.; Grela, K.[u] "Forged and Fashioned for Faithfulness—Ruthenium Olefin Metathesis Catalysts Bearing Ammonium Tags" Chem. Commun. 2018, 54, 122-139 (a review, featured with a cover image). Mukherjee, N.; Gawin, R.; Czarnocki, S. J.; Gajda, R.; Malińska, M.; Woźniak, K.; Kajetanowicz, A.; Grela, K.[u] "Unexpected formation of nitroso-chelated cyclic η1-acylruthenium(II) complex, an effective catalysts for transfer hydrogenation reaction" J. Organomet. Chem. 2018, in press. Jana, A.; Woźniak, K.; Trzybiński, D.; Grela, K.[u] "Well-Defined Chiral Copper NHC Complex in Asymmetric Conjugated β-Borylation and One-Pot Metathesis-Asymmetric β-Borylation" Chem. Eur. J. 2018, in press. Mukherjee, N.; Planer, S.; Grela, K.[u] "Formation of tetrasubstituted C-C double bonds via olefin metathesis: challenges, catalysts, and applications in natural product synthesis" Org. Chem. Front. 2018, 5, 494-516 (a review). Kędziorek, M.; Grela, K.[u] "Metathesis" in Applied Homogeneous Catalysis with Organometallic Compounds: A Comprehensive Handbook in Four Volumes, 3rd Edition, Cornils, B.; Herrmann, W. A.; Beller, M.; Paciello, R., Eds. ; Wiley-VCH, 2017, Chap. 24, pp. 1333-1365. Grudzień, K.; Trzaskowski, B.; Smoleń, M.; Gajda, R.; Woźniak, K.; Grela, K.[u] "Hoveyda–Grubbs catalyst analogues bearing the derivatives of N-phenylpyrrol in the carbene ligand – structure, stability, activity and unique ruthenium–phenyl interactions" Dalton Trans. 2017, 46, 11790-11799. Paradiso, V.; Bertolasi, V.; Costabile, C.; Caruso, T.; Dąbrowski, M.; Grela, K.[u]; Grisi, F. "Expanding the Family of Hoveyda–Grubbs Catalysts Containing Unsymmetrical NHC Ligands" Organometallics 2017, 36, 3692–3708. Małecki, P.; Gajda, K.; Ablialimov, O.; Malińska, M.; Gajda, R.; Woźniak, K.; Kajetanowicz, A.; Grela, K.[u] "Hoveyda−Grubbs-Type Precatalysts with Unsymmetrical N-Heterocyclic Carbenes as Effective Catalysts in Olefin Metathesis" Organometallics 2017, 36, 2153-2166. Czarnocki, S. J.; Czeluśniak, I.; Olszewski,T. K.; Malinska, M.; Woźniak, K.; Grela, K[u] "Rational and Then Serendipitous Formation of Aza Analogues of Hoveyda-Type Catalysts Containing a Chelating Ester Group Leading to a Polymerization Catalyst Family" ACS Catalysis 2017, 7, 4115-4121. Jana, A.; Grela, K.[u] "Mild Functionalization of Tetraoxane Derivatives via Olefin Metathesis: Compatibility of Ruthenium Alkylidene Catalysts with Peroxides" Org. Lett. 2017, 19, 520-523. Jana, A.; Misztal, K.; Żak, A.; Grela, K.[i] "Synthesis of Selectively Substituted or Deuterated Indenes via Sequential Pd and Ru Catalysis" J. Org. Chem. 2017, 82, 4226-4234. Trzaskowski, B.; Goddard, W. A.; Grela, K.[u] "Faster initiating olefin metathesis catalysts from introducing double bonds into cyclopropyl, cyclobutyl and cyclopentyl derivatives of Hoveyda-Grubbs precatalysts" Mol. Catal. 2017, 443, 313-320. Szwaczko, K.; Czeluśniak, I.; Grela, K.[u] "A partially serendipitous discovery of thermo-switchable ruthenium olefin metathesis initiator that seem to be well suited for ROMP of monomers bearing vinyl pendant groups" J. Organomet. Chem. 2017, 847C, 146-153. Cesar, V.; Zhang, Y.; Kośnik, W.; Zieliński, A.; Rajkiewicz, A. A.; Ruamps, M.; Bastin, S.; Lugan, N.; Lavigne, G.; Grela, K.[u] "Ruthenium Catalysts Supported by Amino-Substituted N-Heterocyclic Carbene Ligands for Olefin Metathesis of Challenging Substrates" Chem. Eur. J. 2017, 23, 1950-1955. Jana, A.; Małecki, P.; ; Grela, K.[i,u] "Cross Metathesis" in Science of Synthesis Vol. 2016/2: N-Heterocyclic Carbenes in Catalytic Organic Synthesis; Nolan, S. P.; Cazin, C. S. J., Eds; Georg Thieme Verlag KG, Chapter 2.1.3, 2017, pp. 47-78. Kusy, R.; Grela, K.[i] "E- and Z-Selective Transfer Semihydrogenation of Alkynes Catalyzed by Standard Ruthenium Olefin Metathesis Catalysts" Org. Lett. 2016, 18, 6196-6199. Chołuj, A.; Zieliński, A.; Grela, K.[u]; Chmielewski, M. J. "Metathesis@MOF: Simple and Robust Immobilization of Olefin Metathesis Catalysts inside (Al)MIL-101-NH2" ACS Catal. 2016, 6, 6343-6349. Trzaskowski, B.; Grela, K.[u] "Hoveyda-Grubbs complexes with boryl anions are predicted to be fast metathesis catalysts" Catal. Commun. 2016, 86, 133-138. Żukowska, K.; Pączek, Ł.; Grela, K.[i,u] "Sulfoxide-Chelated Ruthenium Benzylidene Catalyst: a Synthetic Study on the Utility of Olefin Metathesis" ChemCatChem 2016, 6, 2817-2823. Smoleń, M.; Kośnik, W.; Loska, R.; Gajda, R.; Malińska, M.; Woźniak, K.; Grela, K.[u] "Synthesis and catalytic activity of ruthenium indenylidene complexes bearing unsymmetrical NHC containing a heteroaromatic moiety" RCS Adv. 2016, 6, 77013-77019. Michalska, M.; Grela, K.[i] "Simple and Mild Synthesis of Indoles via Hydroamination Reaction Catalysed by NHC–Gold Complexes: Looking for Optimized Conditions" Synlett 2016, 27, 599-603. Skowerski, K.; Białecki, J.; Czarnocki, S.; Żukowska, K.; Grela, K.[u] "Effective immobilisation of a metathesis catalyst bearing an ammonium-tagged NHC ligand on various solid supports" Beilstein J. Org. Chem. 2016, 12, 5-15. Szczepaniak, G.; Urbaniak, K.; Wierzbicka, C.; Kosiński, K.; Skowerski, K.; Grela, K.[u] "High-Performance Isocyanide Scavengers for Use in Low-Waste Purification of Olefin Metathesis Products" ChemSusChem 2015, 8, 4139–4148 (Featured with a cover image). Grela, K.[i]"Progress in metathesis chemistry II" Beilstein J. Org. Chem. 2015, 11, 1639-1640 (Editorial). Pump, E.; Leitgeb, A.; Kozłowska, A.; Torvisco, A.; Falivene, L.; Cavallo, L.; Grela, K.;[i] Slugovc, C. "Variation of the Sterical Properties of the N-Heterocyclic Carbene Coligand in Thermally Triggerable Ruthenium-Based Olefin Metathesis Precatalysts/Initiators" Organometallics 2015, 34, 5438-5453. Wappel, J.; Grudzień, K.; Barbasiewicz, M.; Michalak, M.; Grela, K.;[i] Slugovc C. "Initiation efficacy of halo-chelated cis-dichloro configured ruthenium based second generation benzylidene complexes in Ring-opening Metathesis Polymerization" Monatsh. Chem. 2015, 146, 1153-1160. Pazio, A.; Woźniak, K.; Grela K.[u]; Trzaskowski, B. "Conformational Flexibility of Hoveyda-Type and Grubbs-Type Complexes Bearing Acyclic Carbenes and Its Impact on Their Catalytic Properties" Organometallics 2015, 34, 563-570. 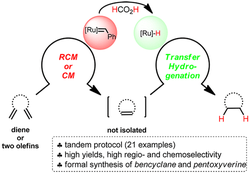 Zieliński, G. K.; Samojłowicz, C.; Wdowik, T.; Grela, K.[i] "In tandem or alone: a remarkably selective transfer hydrogenation of alkenes catalyzed by ruthenium olefin metathesis catalysts" Org. Biomol. Chem. 2015, 13, 2684-2688. Kozłowska, A.; Dranka, M.; Zachara, M.; Pump, E.; Slugovc, C.; Skowerski, K.; Grela, K. [u] "Chelating Ruthenium Phenolate Complexes—Synthesis, General Catalytic Activity and Applications in Olefin Metathesis Polymerization" Chem. Eur. J. 2014, 20, 14120-14125. Szczepaniak, G.; Kosinski, K.; Grela, K.[u] "Towards “cleaner” olefin metathesis: tailoring the NHC ligand of second generation ruthenium catalysts to afford auxiliary traits" Green Chem. 2014, 16, 4474-4492. Woźniak, Ł.; Zieliński, G.; Grela, K.[i,u] "Olefin Metathesis Catalysts—A Tabular Review" in Olefin Metathesis: Theory and Practice, First Edition, Grela, K., Ed. ; Wiley & Sons, Inc.; 2014, Section VI, pages: 575-584. Samojłowicz, C.; Kajetanowicz, A.; Grela, K.[i] "Olefin Metathesis in Fluorous Phases and in Fluorinated Aromatic Solvents" in Olefin Metathesis: Theory and Practice, First Edition, Grela, K., Ed. ; Wiley & Sons, Inc.; 2014, Chapter 23, pages: 537-545. Żukowska, K.; Grela, K.[u] "Cross Metathesis" in Olefin Metathesis: Theory and Practice, First Edition, Grela, K., Ed. ; Wiley & Sons, Inc.; 2014, Chapter 2, pages: 39-83. Ablialimov, O.; Kędziorek, M.; Malińska, M.; Woźniak, K.; Grela K.[u] "Synthesis, Structure, and Catalytic Activity of New Ruthenium(II) Indenylidene Complexes Bearing Unsymmetrical N-Heterocyclic Carbenes" Organometallics 2014, 33, 2160-2171. Smoleń, M.; Kędziorek, M.; Grela, K.[u] "2-Methyltetrahydrofuran: Sustainable Solvent for Ruthenium-Catalyzed Olefin Metathesis" Catal. Commun. 2014, 44, 80-84. Trzaskowski, B.; Grela K.[u] "Structural and Mechanistic Basis of the Fast Metathesis Initiation by a Six-Coordinated Ruthenium Catalyst" Organometallics 2013, 32, 3625-3630. Czaban, J. Schertzer, B. M.; Grela, K.[i] "Low Catalyst Loadings in Self-Metathesis of 1-Dodecene" Adv. Synth. Catal. 2013, 355, 1997-2006. Gawin, R.; Pieczykolan, M.; Malińska, M.; Woźniak, K.; Grela, K.[i] "Testing New Ruthenium Complexes bearing Chiral 1,2,4-Triazol-5-ylidene Ligands as Catalysts for Asymmetric Olefin Metathesis" Synlett 2013, 24, 1250-1254. Grela, K.;[u] Gułajski, Ł.; Skowerski, "Alkene Metathesis in Water" in Metal-Catalyzed Reactions in Water, Dixneuf, P.; Cadierno, V., Eds. ; Wiley-VCH, 2013, Chap. 8, pp. 291-333. Torborg, C.; Szczepaniak, G.; Zieliński, A.; Malińska, M.; Woźniak, K.; Grela, K.[u] "Stable Ruthenium Indenylidene Complexes with a Sterically Reduced NHC Ligand" Chem. Commun. 2013, 49, 3188-3190 (Featured with a cover image). Samojłowicz, C.; Grela, K. "Olefin metathesis reactions of sulfur-containing alkenes and dienes" Arkivoc 2011, 71-81 (Issue in Honor of Prof. Siegfried Blechert). Szadkowska, A.; Samojłowicz, C.; Grela, K. "Enhancement of ruthenium catalyzed olefin metathesis reactions: searching for new catalyst or new reaction conditions?" Pure Appl. Chem. 2011, 83, 553-563. Grela, K. "Progress in metathesis chemistry" Beilstein J. Org. Chem. 2010, 6, 1089–1090 (Editorial). Wdowik, T.; Samojłowicz, C.; Jawiczuk, M.; Zarecki, A.; Grela, K. "Olefin Cross-Metathesis with 3-Nitropropene" Synlett 2010, 2931-2935. Poater, A.; Ragone, F.; Correa, A.; Szadkowska, A.; Barbasiewicz, M.; Grela, K.; Cavallo, L. "Mechanistic Insights on the Cis-Trans Isomerization of Ruthenium Complexes Relevant to Olefin Metathesis Catalysts" Chem. Eur. J. 2010, 16, 14354-14364. Tzur, E.; Szadkowska, A.; Ben-Asuly, A.; Makal, A.; Goldberg, I.; Wozniak, K.; Grela, K.; Lemcoff, N. G. "Studies on Electronic Effects in O-, N- and S-Chelated Ruthenium Olefin-Metathesis Catalysts" Chem. Eur. J. 2010, 16, 8726–8737. Grela, K.; Konopski, L. "A convenient synthesis of deuterium labeled tertiary aliphatic nitro ketones and nitriles – starting materials for preparation of deuterated cyclic nitrones, isomeric hydroxylamines, and corresponding C-nitroso compounds" Tetrahedron 2010, 66, 3614–3622. Grela, K.; Konopski, L. "2-Substituted nitrones and isomeric hydroxylamines – obtained via aluminium amalgam reduction of nitro nitriles and ketones - a new access to convenient intermediates for nitroso carbonyl compounds preparation" Tetrahedron 2010, 66, 3608–36131. Michalak, M.; Gułajski, Ł.; Grela, K. "Alkene Metathesis" in Science of Synthesis: Houben–Weyl Methods of Molecular Transformations, Vol. 47a (Alkenes), Ed. : A. de Meijere; Georg Thieme Verlag KG, 2010, pp. 327-438. Gawin, R.; Grela, K. "Ruthenium Catalysts Bearing Carboxylate Ligand" in "Green Metathesis Chemistry", NATO Science for Peace and Security Series A: Chemistry and Biology; V. Dragutan, A. Demonceau, I. Dragutan, E. Sh. Finkelshtein, Eds. ; Springer Netherlands, 2010, p. 57-69. Gułajski, Ł.; Grela, K. "The Influence of the Anionic Counter-Ion on the Activity of Ammonium Substituted Hoveyda-Type Olefin Metathesis Catalysts in Aqueous Media" in "Green Metathesis Chemistry", NATO Science for Peace and Security Series A: Chemistry and Biology; V. Dragutan, A. Demonceau, I. Dragutan, E. Sh. Finkelshtein, A.; Eds. ; Springer Science Netherlands, 2010, pp. 49-56. Szadkowska, A.; Gstrein, X.; Burtscher, D.; Jarzembska, K.; Woźzniak, K.; Slugovc, C.; Grela, K. "Latent Thermo-Switchable Olefin Metathesis Initiators Bearing a Pyridyl-Functionalized Chelating Carbene: Influence of the Leaving Group’s Rigidity on the Catalyst’s Performance" Organometallics 2010, 29, 117-124. Gawin, R.; Czarnecka, P.; Grela, K. "Ruthenium Catalysts Bearing Chelating Carboxylate Ligands: Application to Metathesis Reactions in Water " Tetrahedron 2010, 66, 1051-1056 (on invitation to Symposium-in-Print thematic issue of Green Chemistry). Szadkowska, A.; Grela, K. "Design and Application of Latent Olefin Metathesis Catalysts Featuring S-Chelating Alkylidene Ligands" in "New Smart Materials via Metal Mediated Macromolecular Engineering", NATO Science for Peace and Security Series A: Chemistry and Biology, E. Khosravi, Y. Yagci, Y. Savelyev, Eds. ; Springer Netherlands, 2009, p. 289-302. Gawin, R.; Grela, K. "Ruthenium Catalysts Bearing O-Chelating Carboxylate Ligand: Potential Chemo-Switchable Romp Catalysts" in "New Smart Materials via Metal Mediated Macromolecular Engineering", NATO Science for Peace and Security Series A: Chemistry and Biology, E. Khosravi, Y. Yagci, Yuri Savelyev, Eds. ; Springer Netherlands, 2009, pp. 279-288. Szadkowska, A.; Makal, A.; Wozniak, K.; Kadyrov, R.; Grela, K. "Ruthenium Olefin Metathesis Initiators Bearing Chelating Sulfoxide Ligands" Organometallics 2009, 28, 2693­-27001. Jarzembska, K.; Seal, S.; Woźniak, K.; Szadkowska, A.; Bieniek, M.; Grela, K. "X-Ray Photoelectron Spectroscopy and Reactivity Studies of a Series of Ruthenium Catalysts" ChemCatChem 2009, 1, 144-151. Gułajski, Ł.; Mauduit, M.; Grela, K. "Onium-tagged Ru-complexes as universal catalysts for olefin metathesis reactions in various media" Pure Appl. Chem. 2009, 81, 2001-2012 (invited paper). Samojłowicz, C.; Bieniek, M.; Grela, K. "Ruthenium-Based Olefin Metathesis Catalysts Bearing N-Heterocyclic Carbene Ligands" Chem. Rev. 2009, 109, 3708­-3742 (a review). Burtscher, D.; Grela, K. "Aqueous olefin metathesis" Angew. Chem. Int. Ed. 2009, 48, 442-454 (a review). Samojowicz, C.; Bieniek, M.; Zarecki, A.; Kadyrov, R.; Grela, K. "The doping effect of fluorinated aromatic hydrocarbon solvents on the performance of common olefin metathesis catalysts: application in the preparation of biologically active compounds" Chem. Commun. 2008, 6282-6284 (Hot Paper. Featured with a cover image). Szadkowska, A.; Grela, K. "Initiation at snail's pace: design and applications of latent olefin metathesis catalysts featuring chelating alkylidene ligands" Curr. Org. Chem. 2008, 12, 1631-1647 (a review). Kirschning, A.; Gułajski, Ł.; Mennecke, K.; Meyer, A.; Busch, T.; Grela, K. "Highly active ammonium tagged olefin metathesis catalyst for simplified purification" Synlett 2008, 2692-2696. Barbasiewicz, M.; Szadkowska, A.; Makal, A.; Jarzembska, K.; Wozniak, K.; Grela, K. "Is the Hoveyda­-Grubbs Complex a Vinylogous Fischer-Type Carbene? 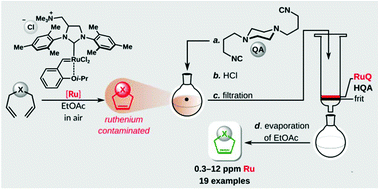 Aromaticity-Controlled Activity of Ruthenium Metathesis Catalysts" Chem. Eur. J. 2008, 14, 9330-9337. Grela, K. "The joy and challenge of small rings metathesis" Angew. Chem. Int. Ed. 2008, 47, 5504-5507 (a highlight). Sledź, P.; Mauduit, M.; Grela, K. "Olefin metathesis in ionic liquids" Chem. Soc. Rev. 2008, 37, 2433-2442 (a review). Sashuk, V.; Samojlowicz, C.; Szadkowska, A.; Grela, K. "Olefin Cross-Metathesis with Vinyl Halides" Chem. Commun. 2008, 2468-2470. Kirschning, A.; Harmrolfs, K.; Mennecke, K.; Messinger, J.; Schön, U.; Grela, K. "Evaluation of Selected Homo- and Heterogeneous Ru-based Metathesis Catalysts in Cross-Metathesis of Allylated 15-Propenyl Estrone Leading to New 17β-Hydroxysteroid Dehydrogenase Type 1 Inhibitors" Tetrahedron Lett. 2008, 49, 3019-3022. Kadyrov, R.; Rosiak, A.; Tarabocchia, J.; Szadkowska, A.; Bieniek, M.; Grela, K.; "New Concepts in Designing Ruthenium based Second Generation Olefin Metathesis Catalysts and their Application", in "Catalysis of Organic Reactions: Twenty-second Coference", Michael L. Prunier, M. L., Ed., Chemical Industries Series, Vol. 123, , CRC Press, 2008, 568. Gułajski, Ł.; Sledź, P.; Lupa, A.; Grela, K.; "Olefin metathesis in water using acoustic emulsification" Green Chem. 2008, 10, 279-282 (Featured with a cover image). Gułajski, Ł.; Michrowska, A.; Narożnik, J.; Kaczmarska, Z.; Rupnicki, L.; Grela, K. "A Highly Active Aqueous Olefin Metathesis Catalyst Bearing a Quaternary Ammonium Group" ChemSusChem 2008, 1, 103-109. Michrowska, A.; Grela, K. "In a Quest for the Ideal Olefin Metathesis Catalyst" Pure Appl. Chem. 2008, 80, 31-43 (invited paper). Bieniek, M.; Michrowska, A.; Usanov, D. L.; Grela, K. "In an Attempt to Provide a User's Guide to the Galaxy of Benzylidene, Alkoxybenzylidene and Indenylidene Ruthenium Olefin Metathesis Catalysts" Chem. Eur. J. 2008, 14, 806-818. Czernuszewicz, R. S.; Mody, V.; Zareba, A. A.; Zaczek, M. B.; Galezowski, M.; Sashuk, V.; Grela, K.; Gryko, D. T. " Solvent-Dependent Resonance Raman Spectra of High-Valent Oxomolybdenum(V) Tris[3,5-bis(trifluoromethyl)phenyl]corrolate" Inorg. Chem. 2007, 46, 5616-5624. Rix, D.; Caïjo, F.; Laurent, I.; Gulajski, L.; Grela, K.; Mauduit, M. "Highly Recoverable Pyridinium-Tagged Hoveyda-Grubbs Pre-catalyst for Olefin Metathesis. Design of the Boomerang Ligand Toward the Optimal Compromise Between Activity and Reusability" Chem. Commun. 2007, 3771-3773. Gawin, R.; Makal, A.; Woźniak, K.; Mauduit, M.; Grela, K. "Dormant Ruthenium Catalyst Bearing Chelating Carboxylate Ligand: In Situ Activation and Application in Metathesis Reactions " Angew. Chem. Int. Ed. 2007, 46, 7206-7209. Gstrein, X.; Burtscher, D.; Szadkowska, A.; Barbasiewicz, M.; Stelzer, F.; Grela, K.; Slugovc, C. "Ruthenium Quinoline and Quinoxaline Complexes: Thermally Triggered Initiators for ROMP" J. Polym Sci. Part A: Polym. Chem. 2007, 45, 3494-3500. Clavier, H.; Grela, K.; Kirschning, A.; Mauduit, M.; Nolan, S. P. "Sustainable Concepts in Olefin Metathesis" Angew. Chem. Int. Ed. 2007, 46, 6786-6801 (a review). 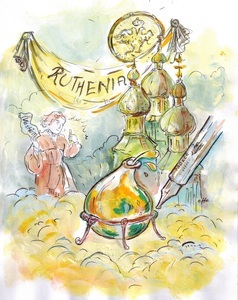 Grela, K.; Michrowska, A.; Bieniek, M;, Sashuk, V.; Szadkowska, A; "Phosphine-Free EWG-activated Ruthenium Olefin Metathesis Catalysts: Design, Preparation and Applications" in "New Frontiers in Metathesis Chemistry: From Nanostructure Design to Sustainable Technologies for Synthesis of Advanced Materials", NATO Science Series II: Mathematics, Physics and Chemistry; Imamoglu, Y.; Dragutan, V., Eds. ; Springer Netherlands, 2007, pp. 111-124. Michrowska, A.; Gułajski, L.; Grela, K. "«Greener Shade of Ruthenium» New Concepts of Activation, Immobilization and Recovery of Ruthenium Catalysts for Green Olefin Metathesis" in "New Frontiers in Metathesis Chemistry: From Nanostructure Design to Sustainable Technologies for Synthesis of Advanced Materials", NATO Science Series II: Mathematics, Physics and Chemistry;; Imamoglu, Y.; Dragutan, V., Eds. ; Springer Netherlands, 2007, pp. 167-183. Bieniek, M.; Kołoda, D.; Grela, K. "A highly selective synthesis of unsymmetrically substituted sulfones via cross-metathesis of divinyl sulfone" Org. Lett. 2006, 8, 5689-5692. Grela, K.; Mennecke, K.; Kunz, U.; Kirschning A. "Immobilisation of the Grubbs III olefin metathesis catalyst with polyvinyl pyridine (PVP)" Synlett 2005, 2948-2952. Mikus, A.; Sashuk, V.; Kędziorek, M.; Samojłowicz, C.; Ostrowski, S.; Grela, K. "Olefin and Enyne Cross-Metathesis---New Tool for Synthesis of Alkenyl-substituted Azulenes " Synlett 2005, 1142-1146. Sashuk, V.; Ignatowska, J.; Grela, K. "A Fine-Tuned Molybdenum Hexacarbonyl/Phenol Initiator for Alkyne Metathesis" J. Org. Chem. 2004, 69, 7748-7751. Bujok, R.; Bieniek, M.; Masnyk, M.; Michrowska, A.; Sarosiek, A.; Stępowska, H.; Arlt, D.; Grela, K. "Ortho- and Para-Substituted Hoveyda-Grubbs Carbenes. An Improved Synthesis of Highly Efficient Metathesis Initiators" J. Org. Chem. 2004, 69, 6894-6896. Michrowska, A.; Bujok, R.; Harutyunyan, S.; Sashuk, V.; Dolgonos, G.; Grela, K. "Nitro-Substituted Hoveyda-Grubbs Ruthenium Carbenes: Enhancement of Catalysts Activity through Electronic Activation" J. Am. Chem. Soc. 2004, 126, 9318-9325. Sashuk, V.; Koszarna, B.; Winiarek, P.; Gryko, D. T.; Grela, K.; "The simple synthesis of stable A3- and trans-A2B-molybdenum(V) corrolates" Inorg. Chem. Commun. 2004, 7, 871-875. Harutyunyan, S.; Michrowska, A.; Grela, K. "A Highly Active Ruthenium (Pre)catalyst for Metathesis Reactions" in Catalysts for Fine Chemical Synthesis, Vol. 3, Metal Catalysed Carbon-Carbon Bond-Forming Reactions, Roberts, S. M.; Whittall, J.; Mather, P.; McCormack, P., Ed. ; John Wiley & Sons, 2004, Chap. 9.1, pp. 169-173. Michrowska, A.; Wawrzyniak, P.; Grela, K. "Synthesis of Macrocyclic Carbonates with Musk Odor by Ring-Closing Olefin Metathesis" Eur. J. Org. Chem. 2004, 2053-2056. Demchuk, O. M.; Pietrusiewicz, K. M.; Michrowska, A.; Grela, K. "Synthesis of Substituted P-Stereogenic Vinylphosphine Oxides by Olefin Cross-Metathesis" Org. Lett. 2003, 5, 3217-3220. Grela, K.; Michrowska, A.; Bieniek, M.; Kim, M.; Klajn, R. "Cross-metathesis reaction of vinyl sulfones and sulfoxides" Tetrahedron 2003, 59, 4525-4531. Grela, K.; Kim, M. "Good Bargain: An Inexpensive Air-Stable Ruthenium Metathesis Catalyst Derived from α-Asarone" Eur. J. Org. Chem. 2003, 963-966. Grela, K.; Ignatowska, J. "An Improved Catalyst for Ring Closing Alkyne Metathesis Based on Molybdenum Hexacarbonyl/2-Fluorophenol" Org. Lett. 2002, 4, 3747-3749. Grela, K.; Bieniek M. "Highly selective cross-metathesis with phenyl vinyl sulphone using the "second generation" Grubbs' catalyst" Tetrahedron Lett. 2001, 42, 6425-6428. Fürstner, A.; Mathes, C.; Grela, K. "Concise total syntheses of epothilone A and C based on alkyne metathesis" Chem. Commun. 2001, 1057-1059. Fürstner, A.; Grela, K.; Mathes, C.; Lehmann, C. "Novel and Flexible Entries into Prostaglandins and Analogues Based on Ring Closing Alkyne Metathesis or Alkyne Cross Metathesis J. Am. Chem. Soc. 2000, 122, 11799-11805. Fürstner, A.; Grela, K. "Ringschlussmetathese von Alkinen: Anwendung auf die stereoselektive Totalsynthese von Prostaglandin-E2-1,15-Lacton" Angew. Chem. 2000, 112, 1292-1294. Mąkosza, M.; Nieczypor, P.; Grela, K. "Convenient Preparation of Metals Deposited on Solid Supports and Their Use in Organic Synthesis" Tetrahedron, 1998, 54, 10827-10836. Mąkosza, M.; Grela, K. "Preparation of Allylstannanes and Distannanes Using Zinc in Liquid Ammonia" Synth. Commun., 1998, 28, 2697-2702. Witanowski, M.; Biedrzycka, Z.; Grela, K. "Nitro Group Effects on the 1J(CC) Couplings in Nitroalkanes" Magn. Res. Chem., 1998, 36, 356-358. Witanowski, M.; Biedrzycka, Z.; Grela, K.; Wejroch, K. "Nitrogen NMR Shieldings of Nitroalkanes as a Structural and Conformational Probe" Magn. Res. Chem. 1998, 36, S85-S92. Mąkosza, M.; Grela, K. "Convenient Preparation of 'High-Surface Sodium' in Liquid Ammonia: Use in the Acyloin Reaction" Synlett 1997, 267-268. Mąkosza, M.; Grela, K. "A Mild and Simple Zinc-Promoted Barbier-Type Allylation of Aldehydes in Liquid Ammonia" Synth. Commun. 1996, 26, 2935-2940. Mąkosza, M.; Grela, K.; Fabianowski, W. "Active Metals Prepared in Liquid Ammonia. Zinc and Tin-Promoted Synthesis of β-Hydroxyesters, Homoallylic and Homopropargylic Alcohols" Tetrahedron 1996, 52, 9575-9580. Mąkosza, M.; Grela, K. "Preparation of Active Zinc by Reduction of Zinc Chloride with Sodium in Liquid Ammonia and its use in the Barbier Reaction" Tetrahedron Lett. 1995, 36, 9225-9226. Grela, K.; Konopski, L. "Origin of [M+H] + Ions in Electron Impact Mass Spectra of Tertiary Nitrosonitriles" J. Mass Spectrom. 1995, 30, 1441-1446. Witanowski, M.; Biedrzycka, Z.; Konopski, L.; Grela, K. "Nitrogen NMR Assessment of Interactions Between Nitroso, Cyano and Acetyl Groups Across Aliphatic System" Magn. Res. Chem. 1995, 33, 674-678. Konopski, L.; Grela, K. "Electron Impact Mass Spectra of Some Tertiary Aliphatic Nitro Compounds. Nitrocarbonyl Compounds and Some Analogues" Org. Mass Spectrom. 1992, 27, 741-745.